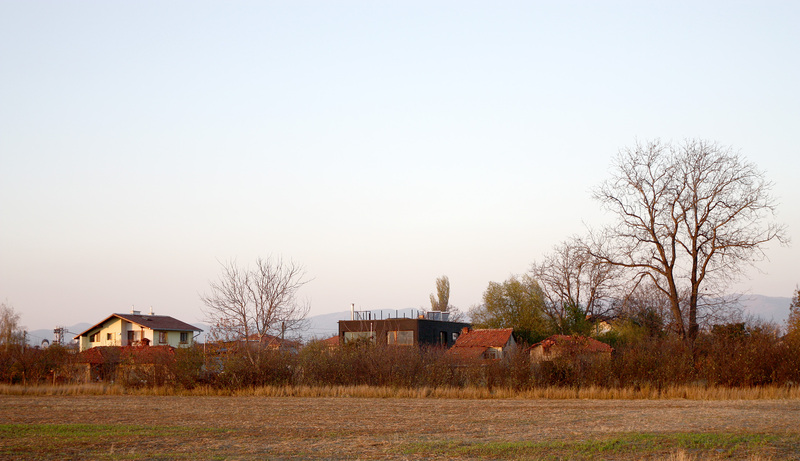 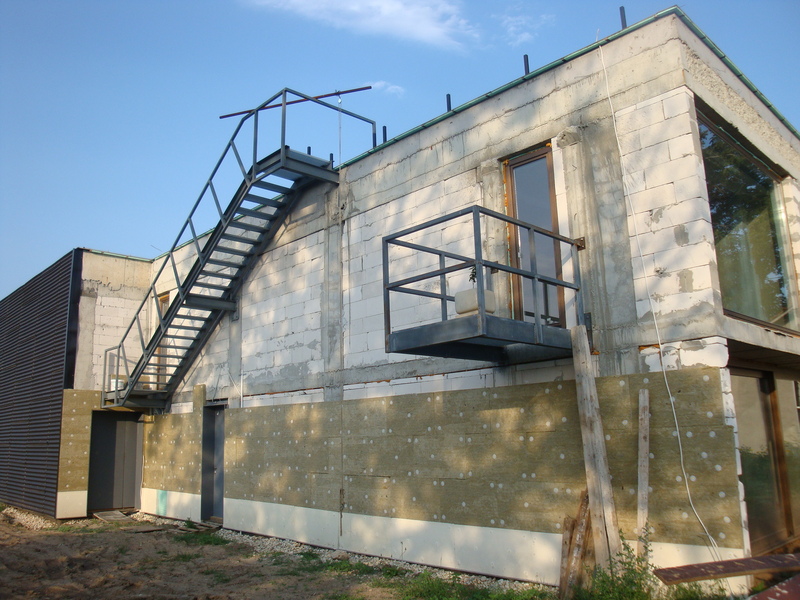 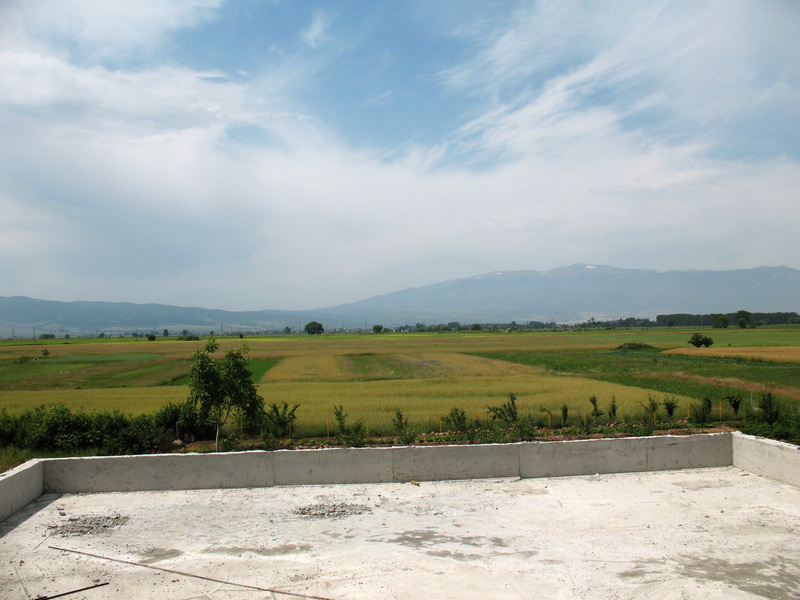 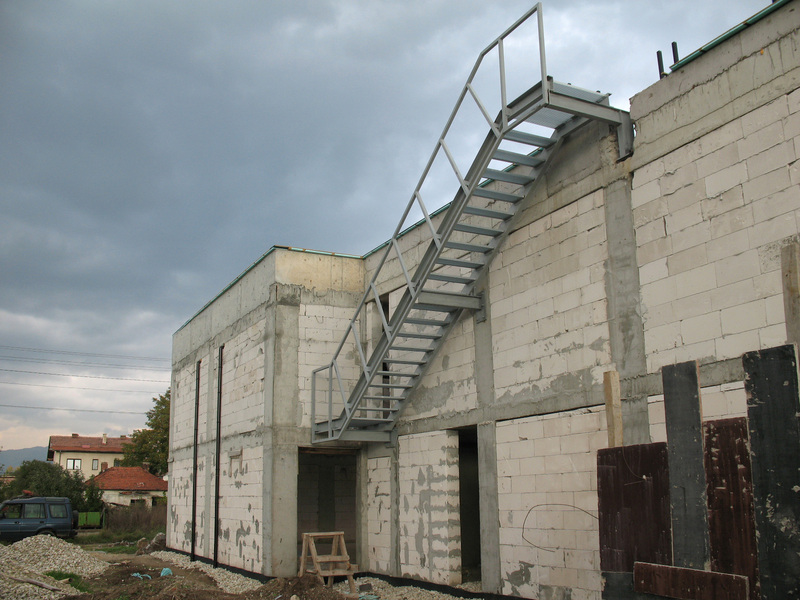 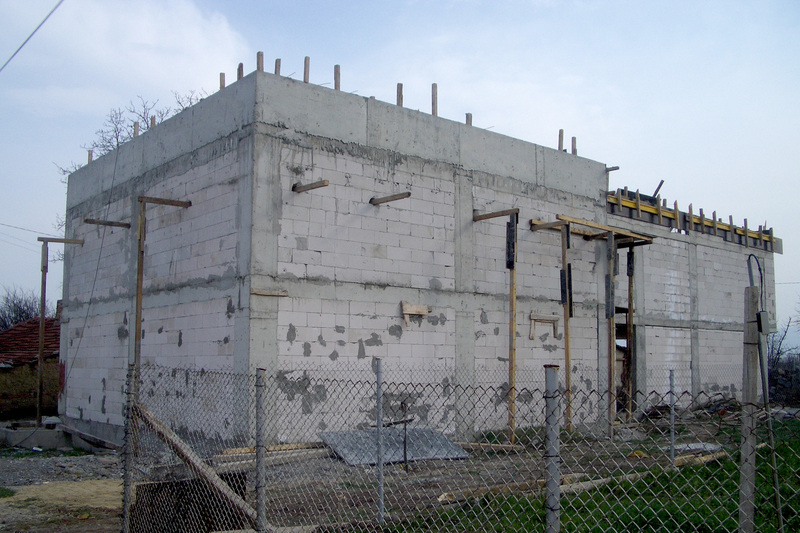 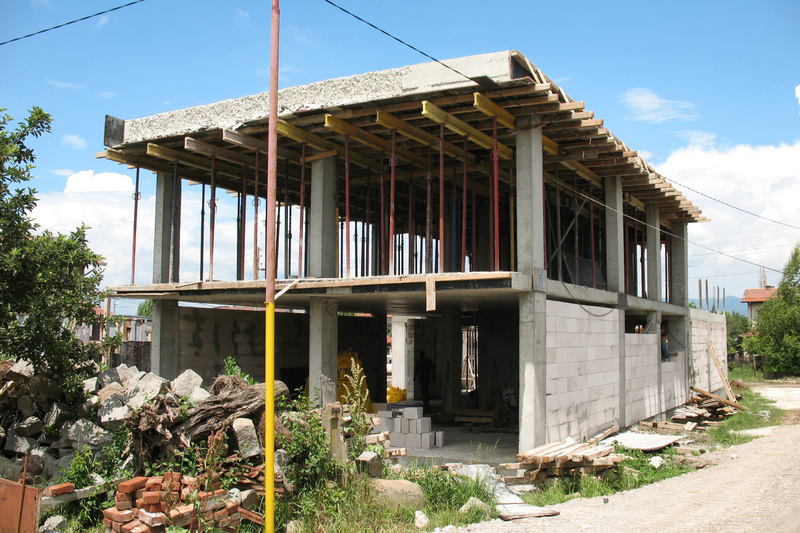 In 2008 conveyer began working on the redevelopment of a building under construction near Sofia situated in a small, rectangular site.     The program of the building is unusual – besides the living area, the house posses a work space with dimensions 9,5x9,5m and height of 6m. 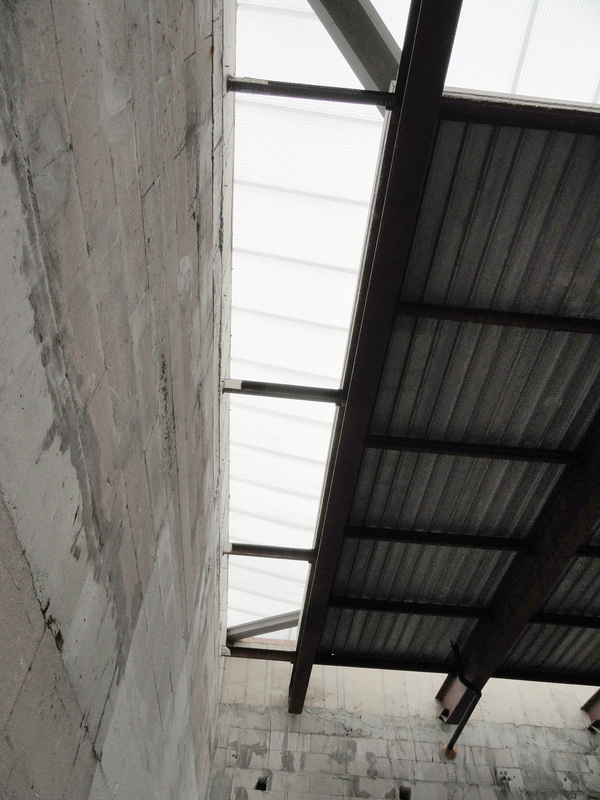 Because the work space is designed for the creation of art, its walls are solid, without any windows and diffused light is coming through a skylight on the perimeter of the roof, made out of polycarbonate panels.  The redevelopment of the building was focused in two main directions: - maximal unification and incorporation of internal spaces; - redevelopment of the building’s facades and enticing them into one common concept. 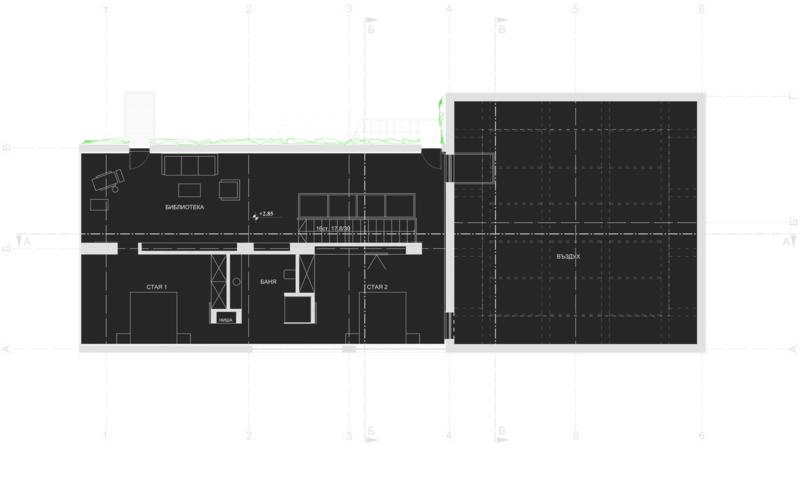 The main structure of the building, taken from the initial project, was kept, although changes were made in order to develop a unified interior project, that enticed all elements of the interior space/ stairs, fireplace, furniture, concept ideas for bathrooms and toilets/. 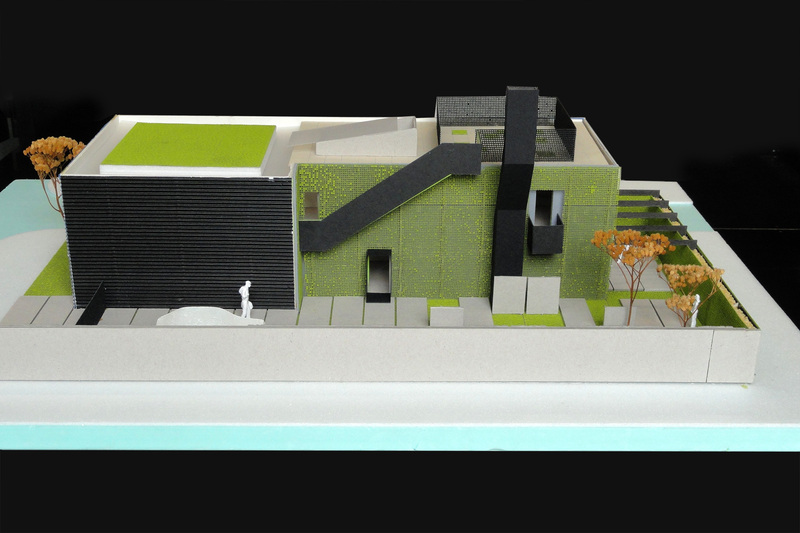 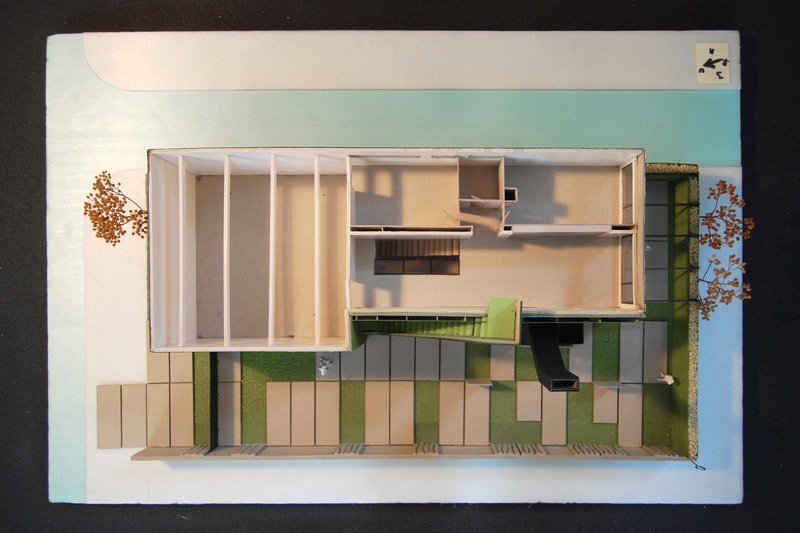 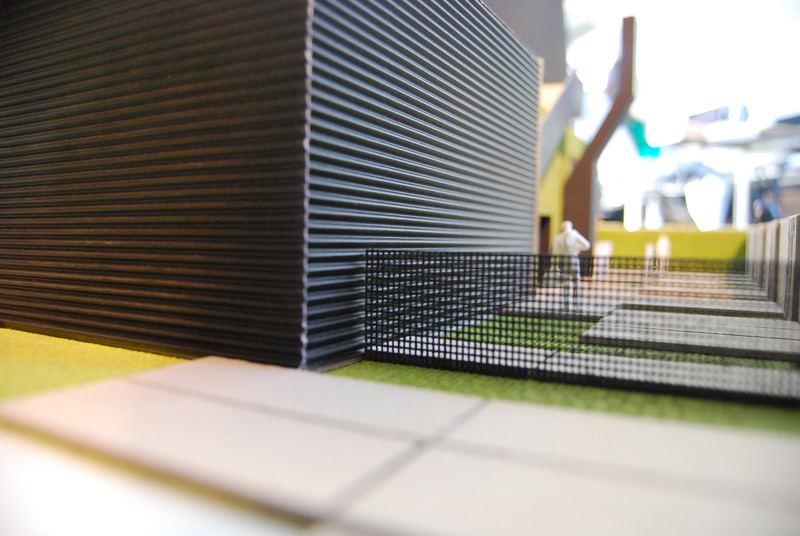 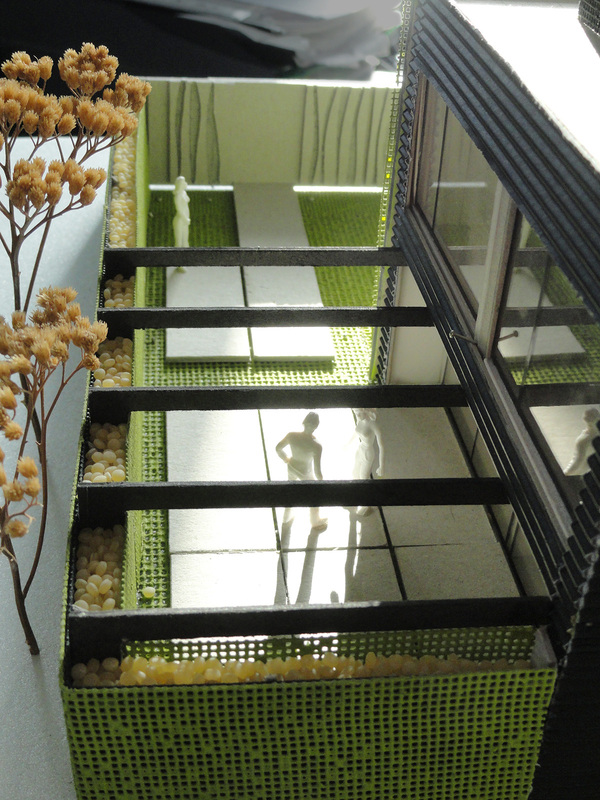 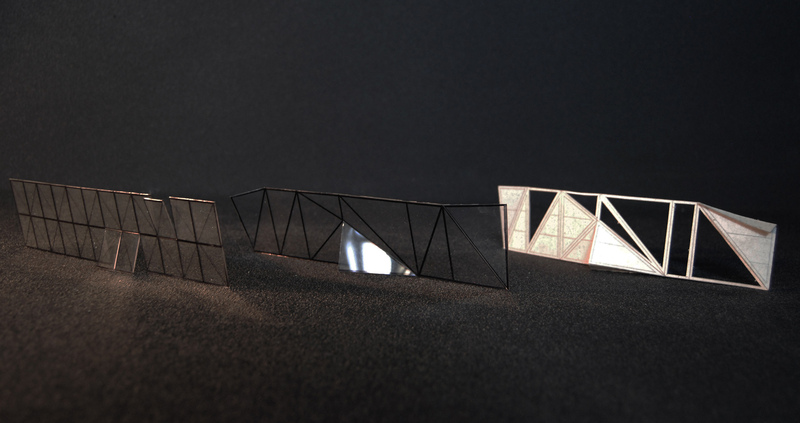 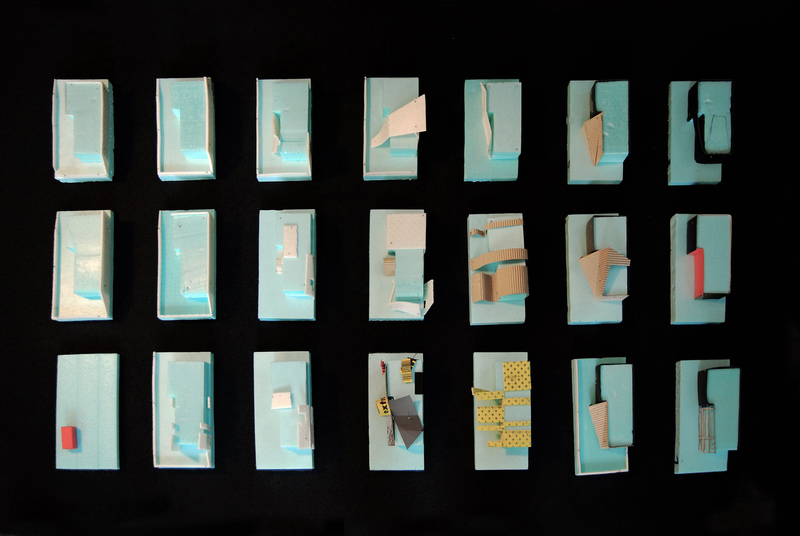 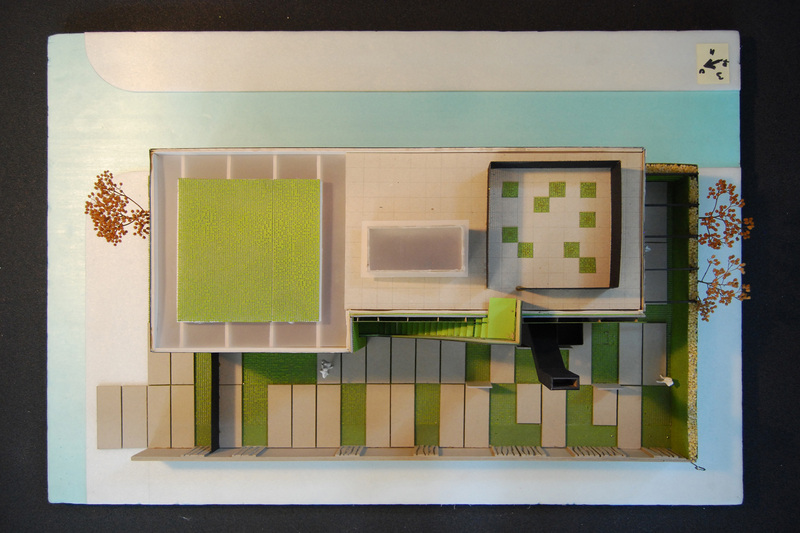 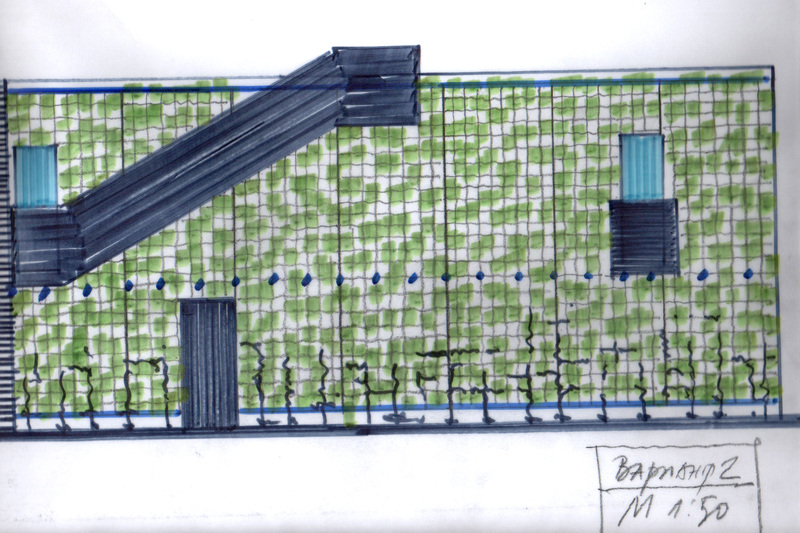  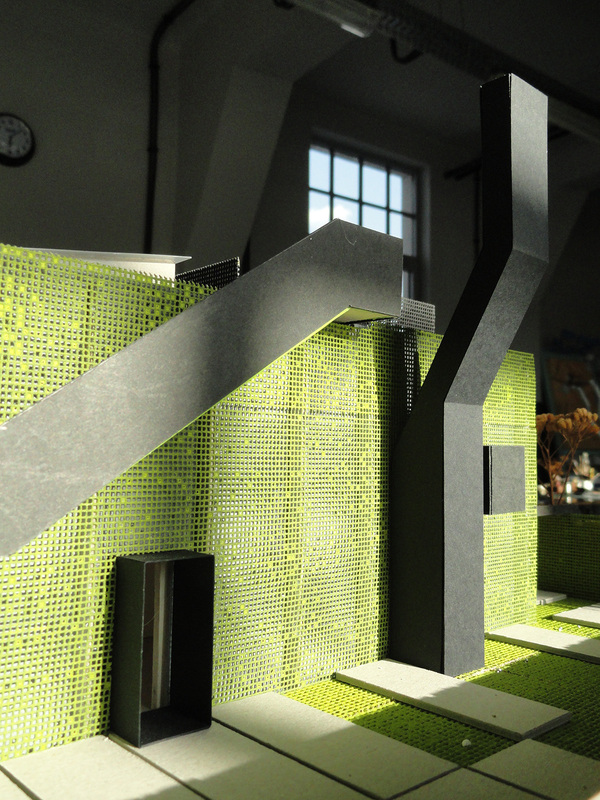 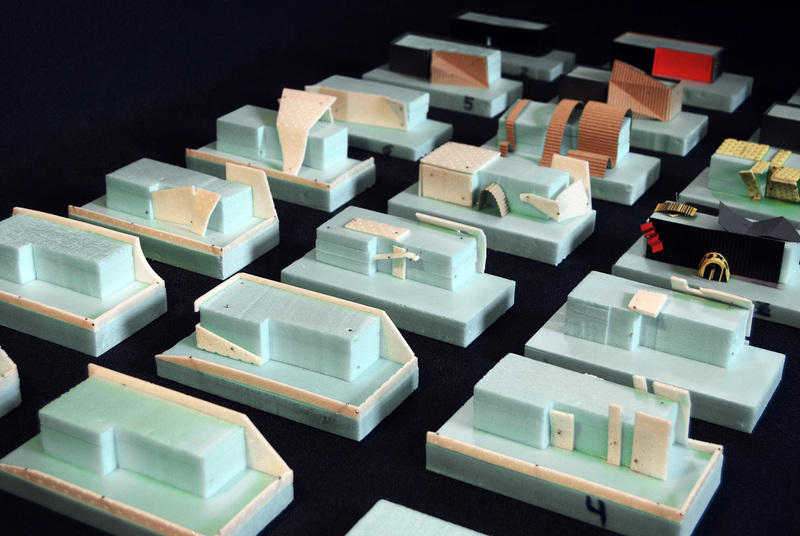 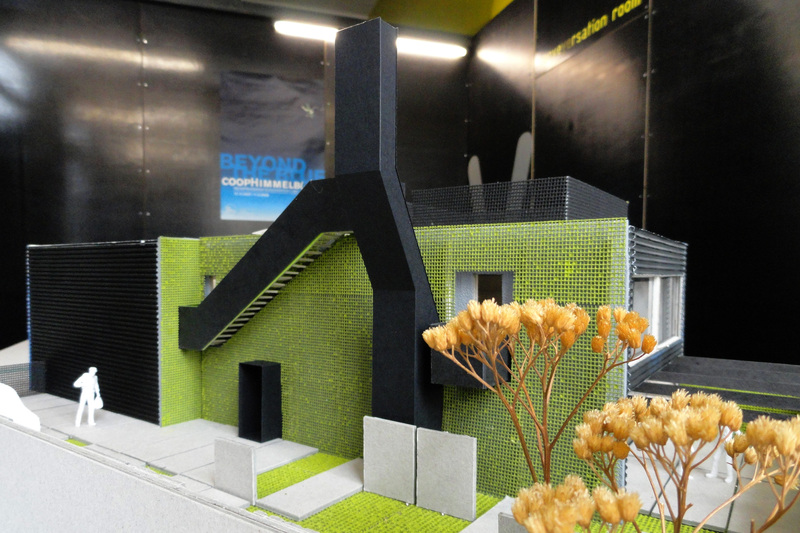 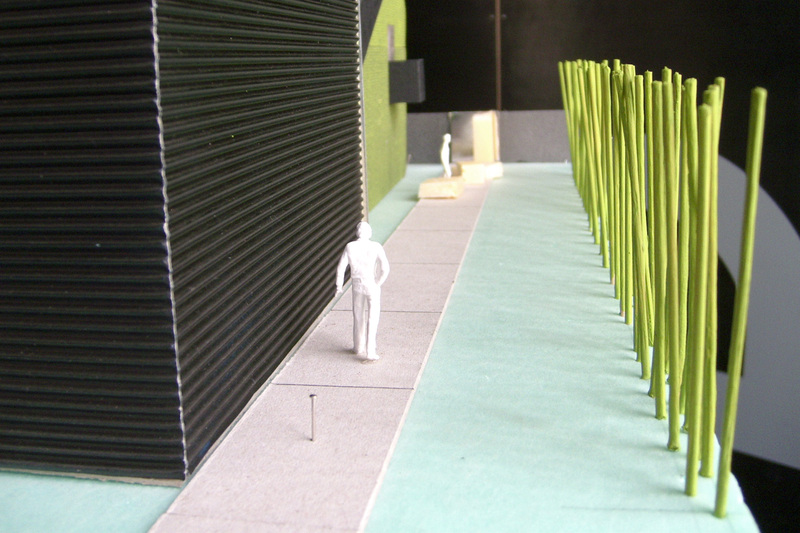 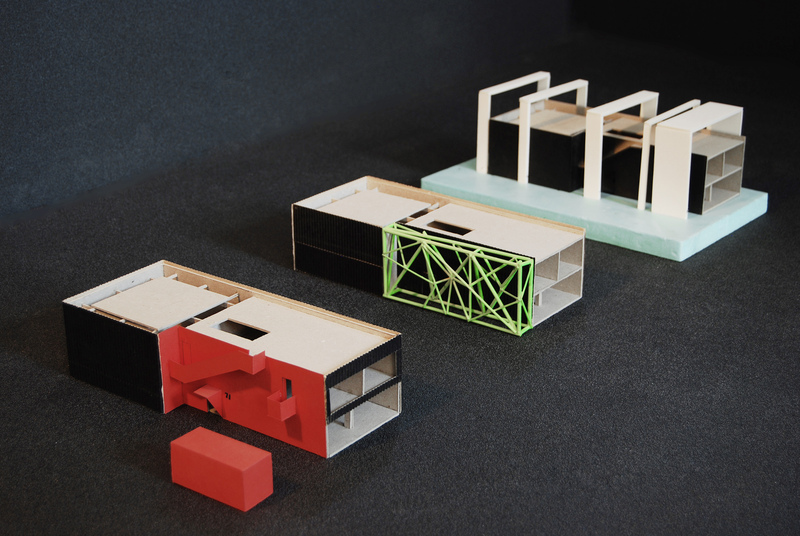 Several different directions for the main concept were explored for the facades of the building. 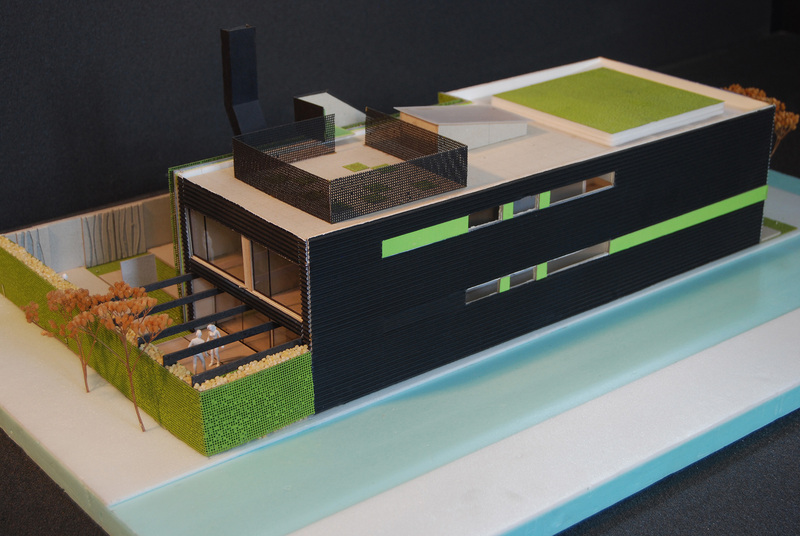 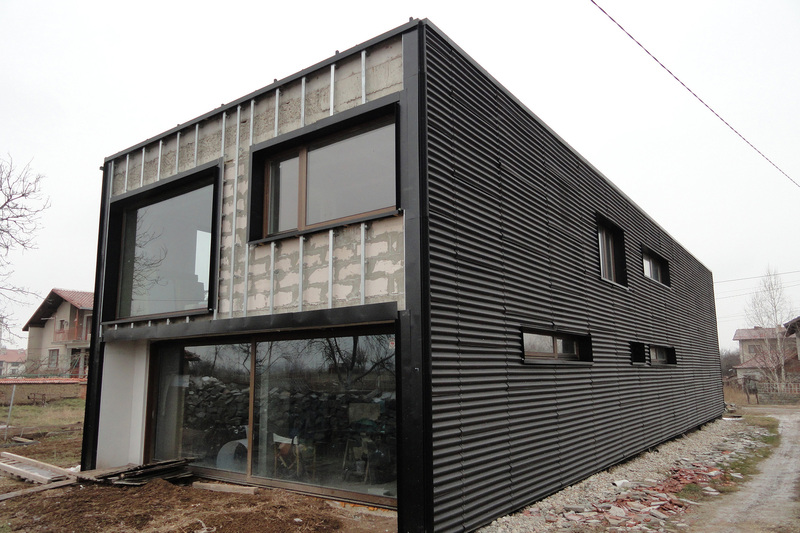 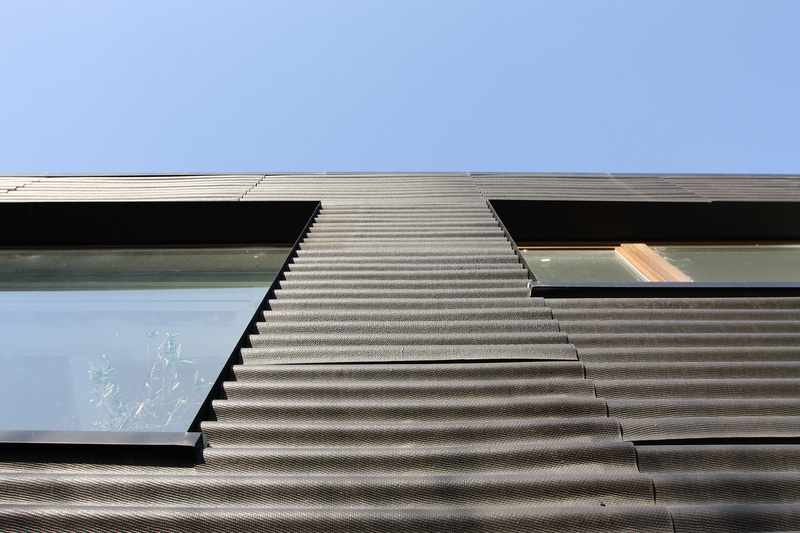 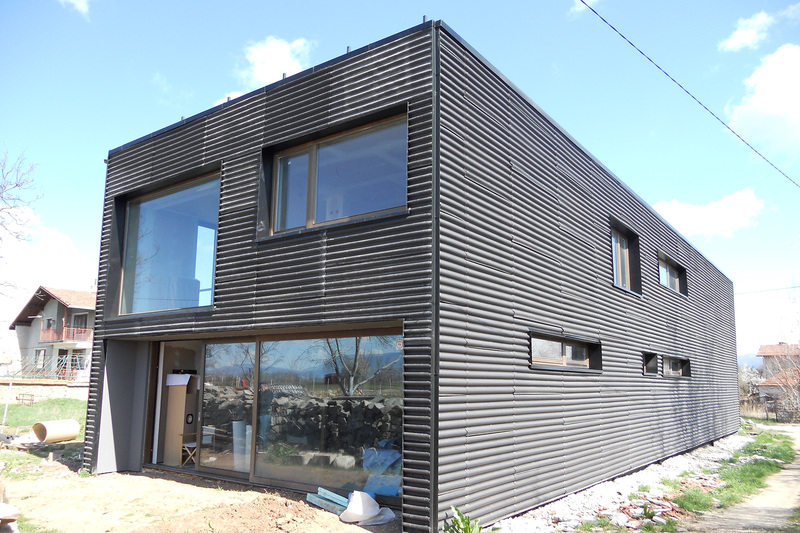 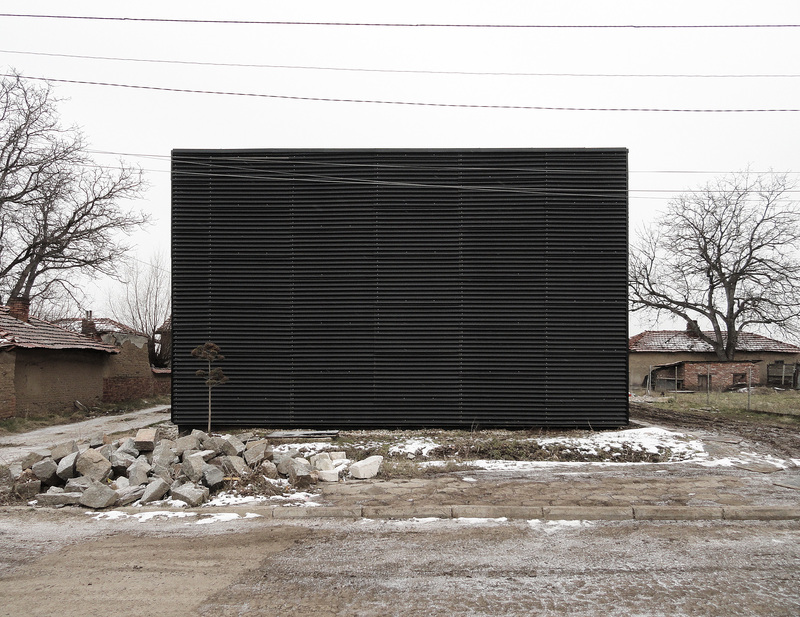  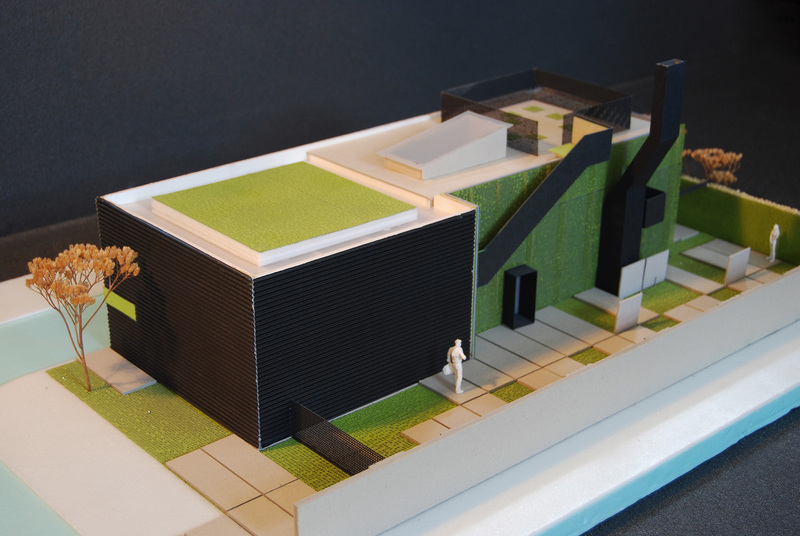 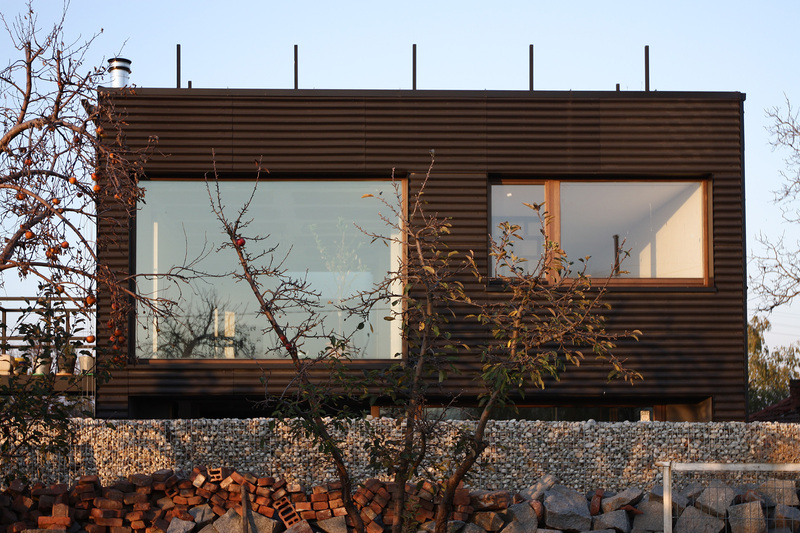 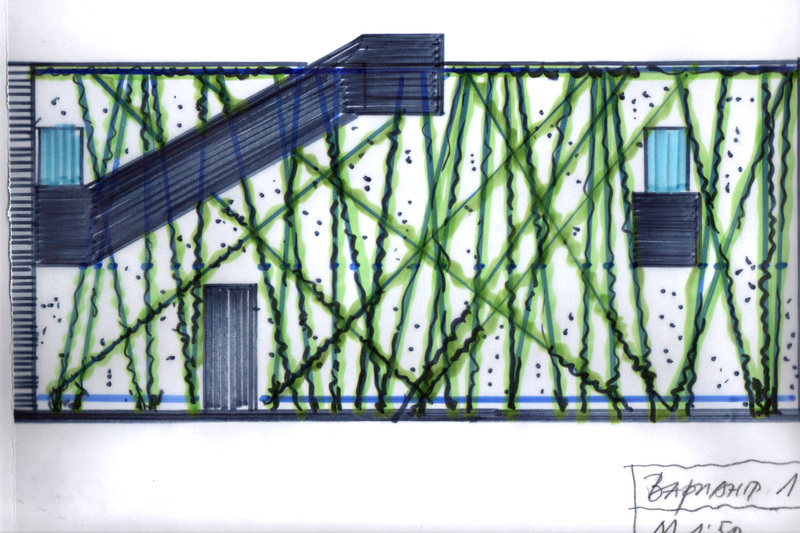 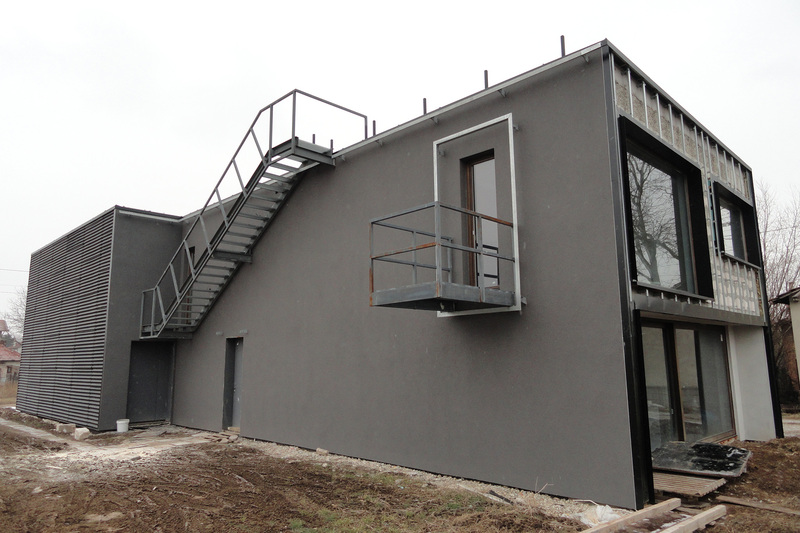 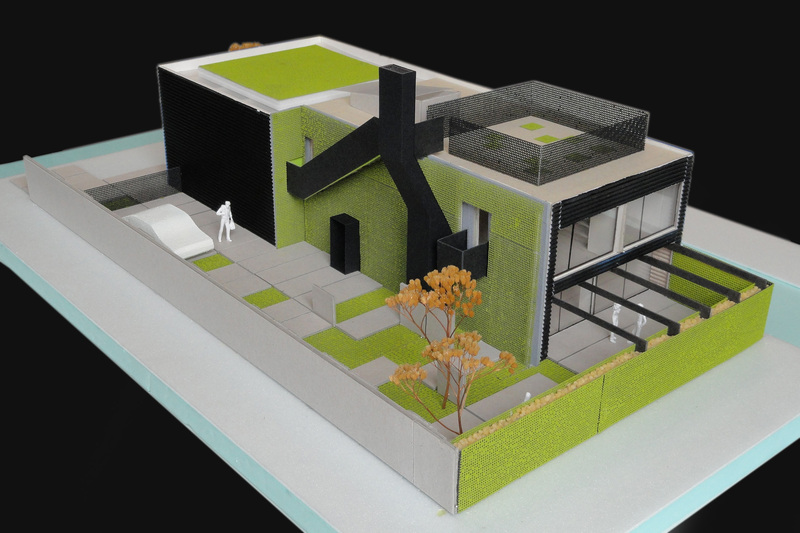 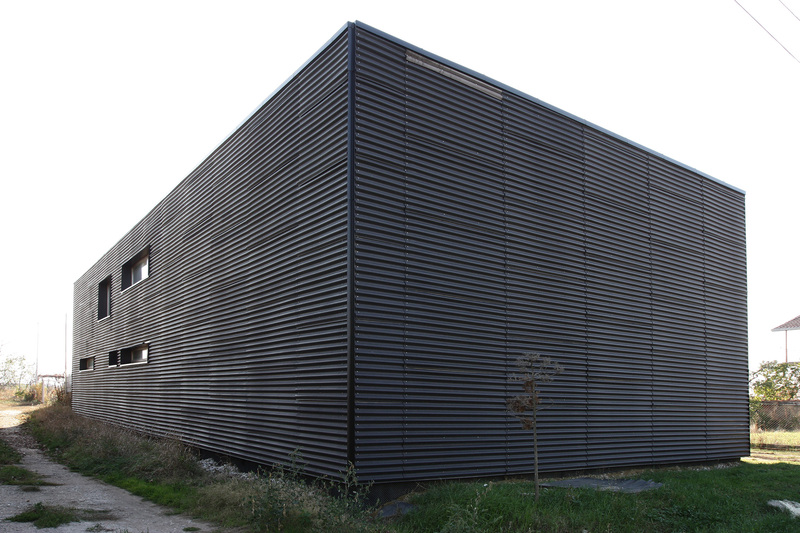 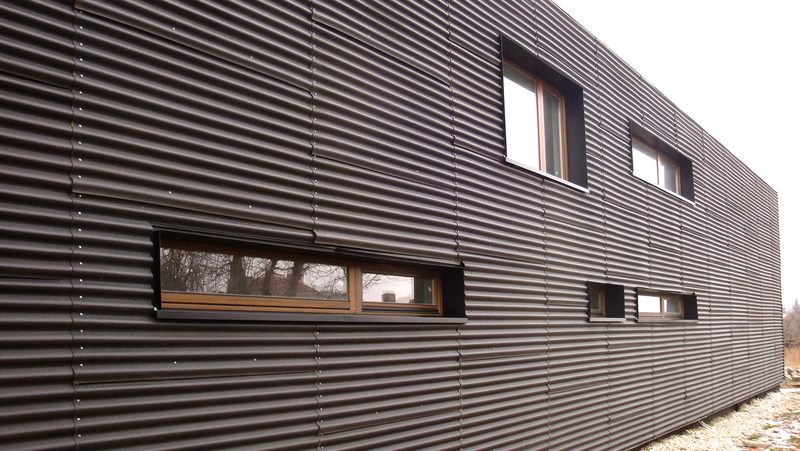 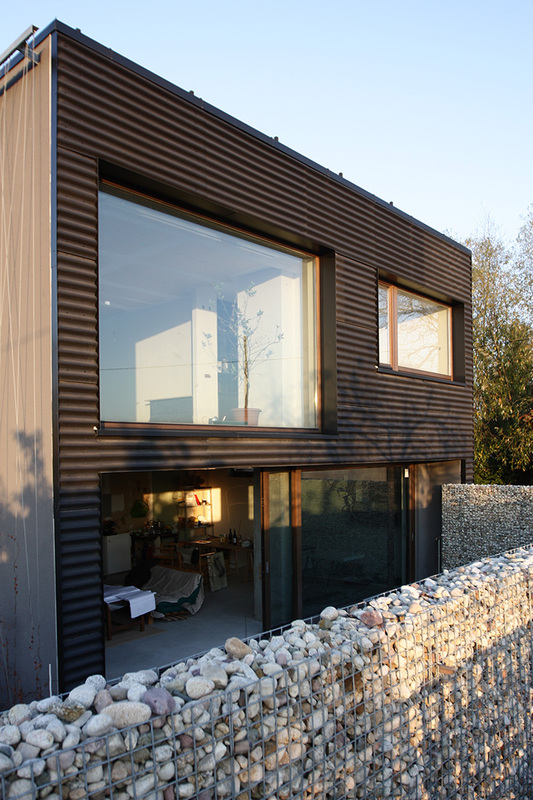 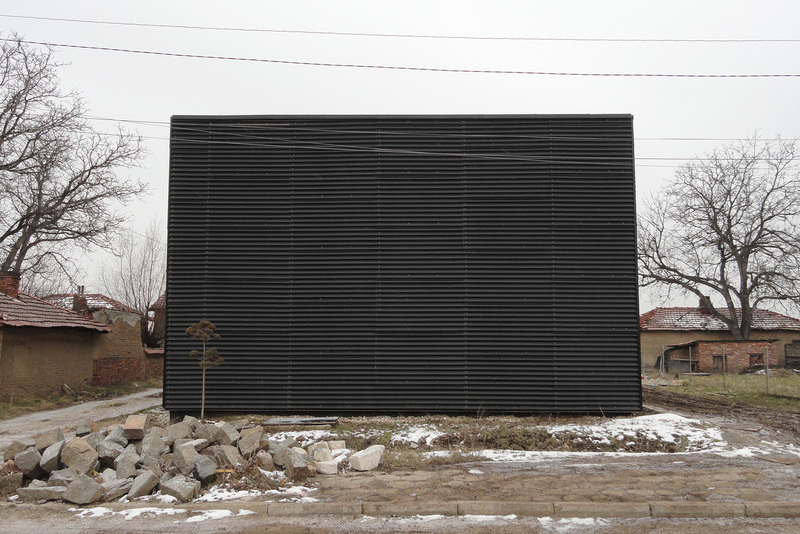 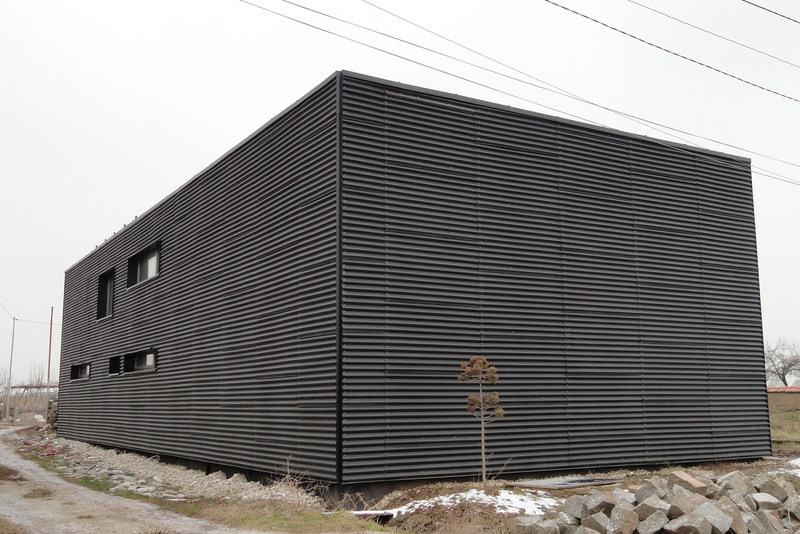 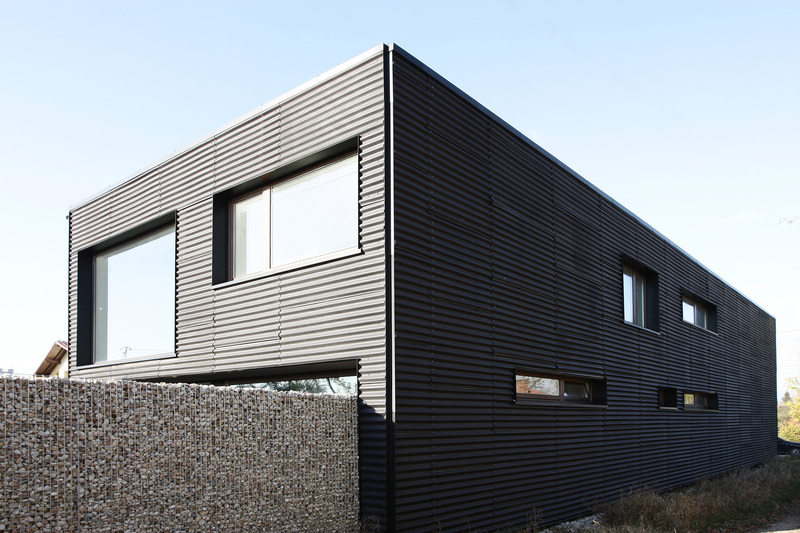 The selected direction was the concept for a building-container with solid façade panels and black shell. 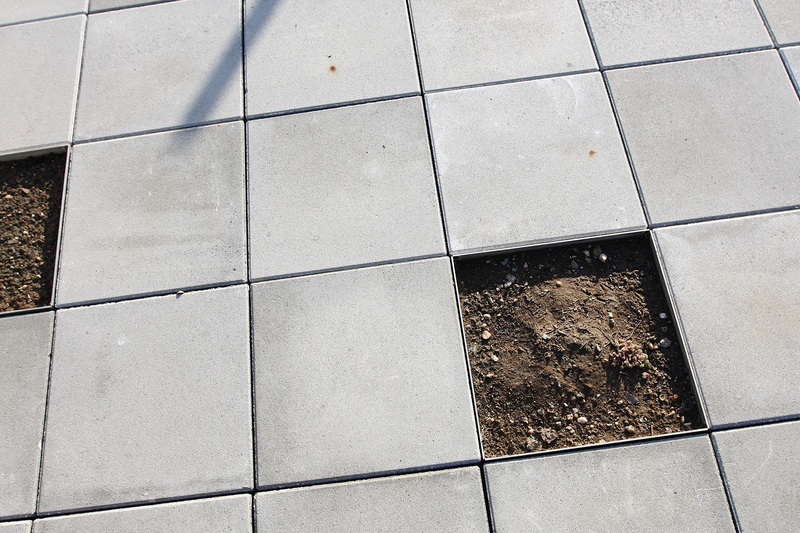 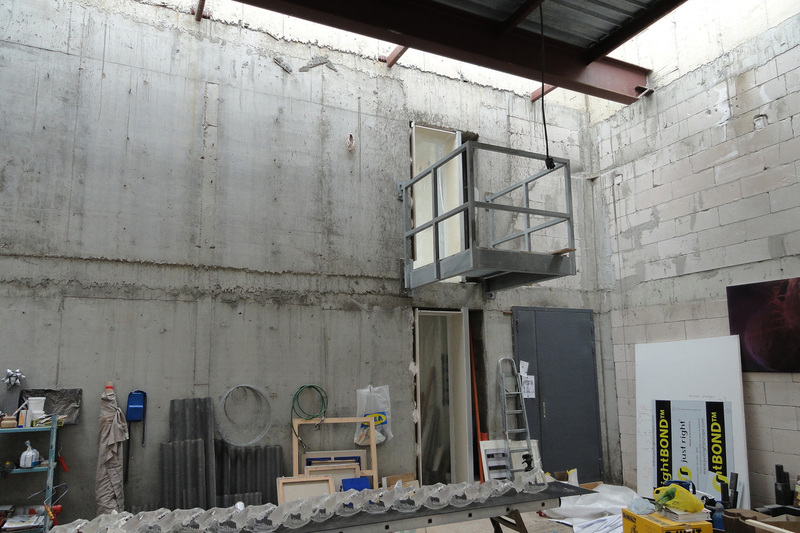 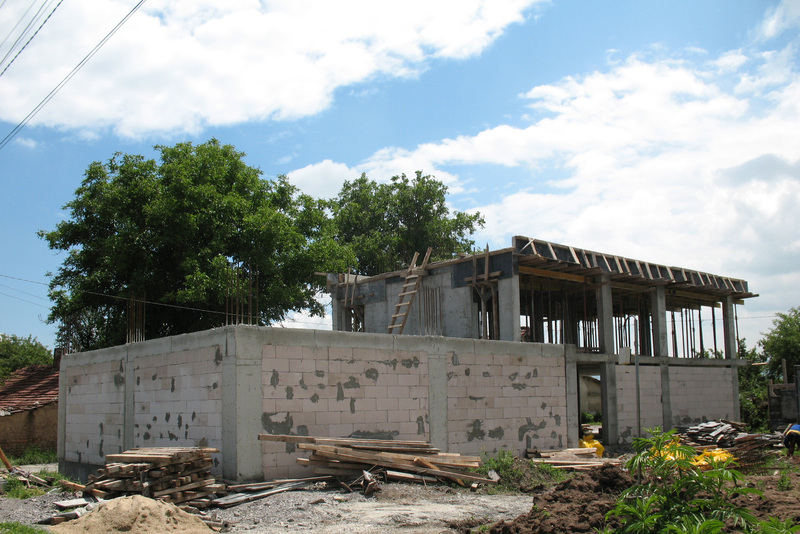 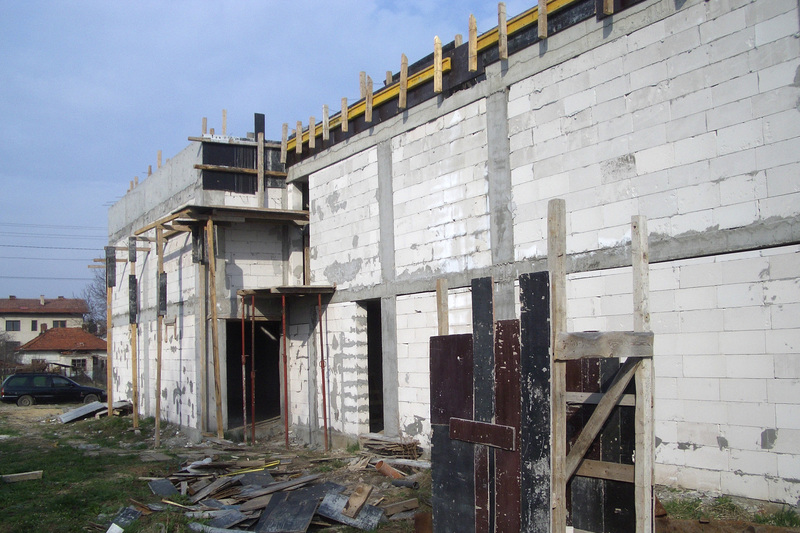 One of the walls of the container was removed and in that place the core of the building was exposed. 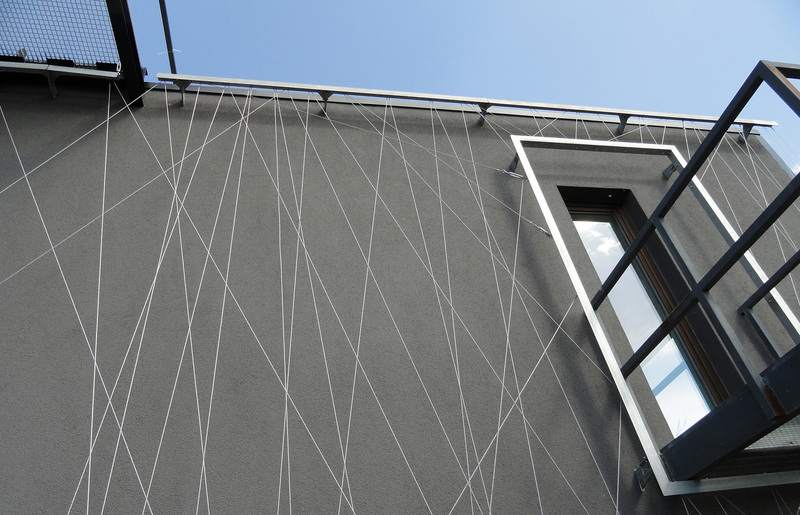 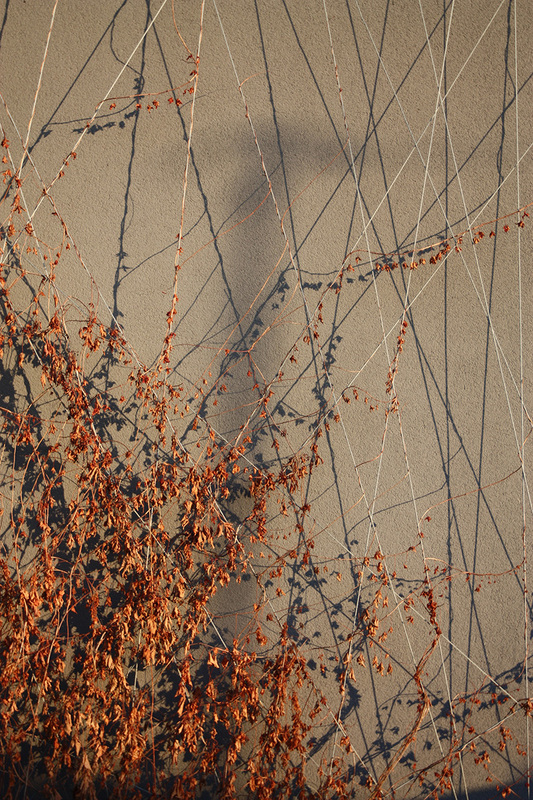 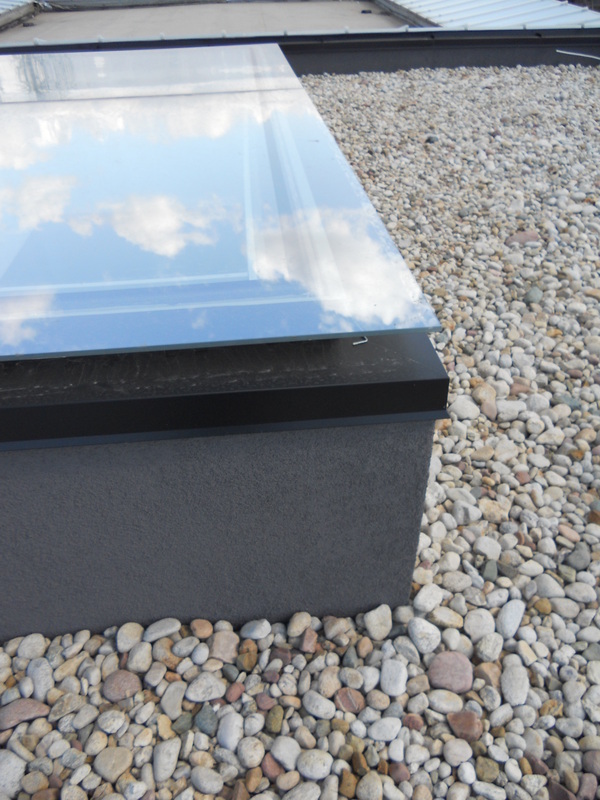 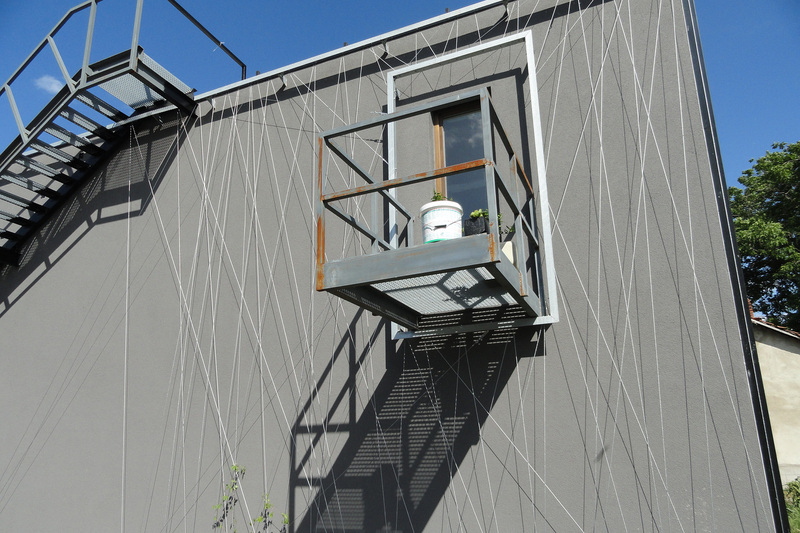 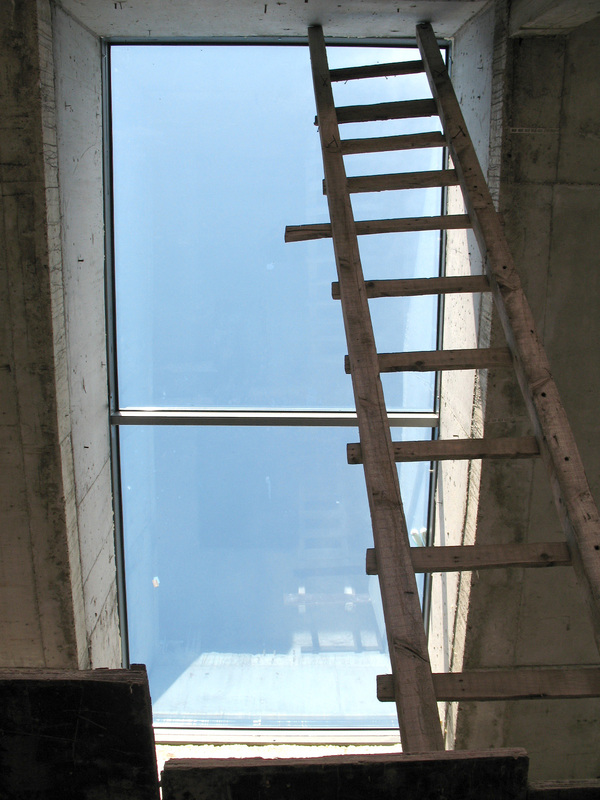 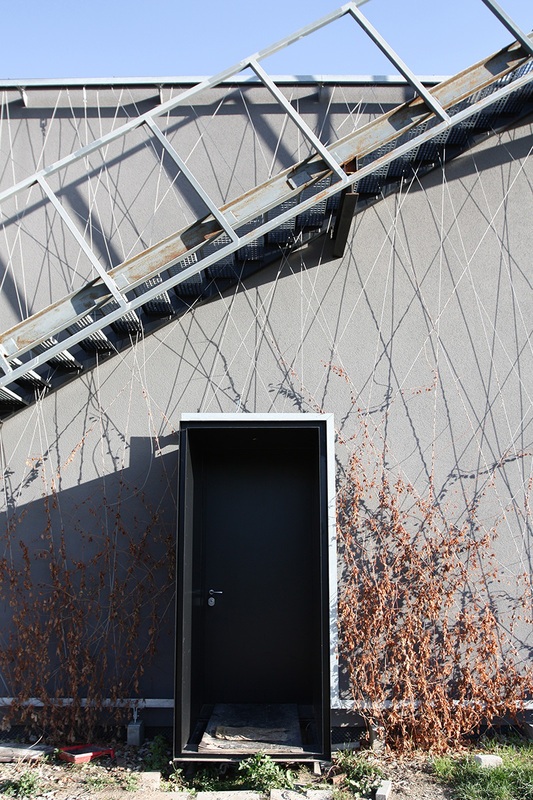 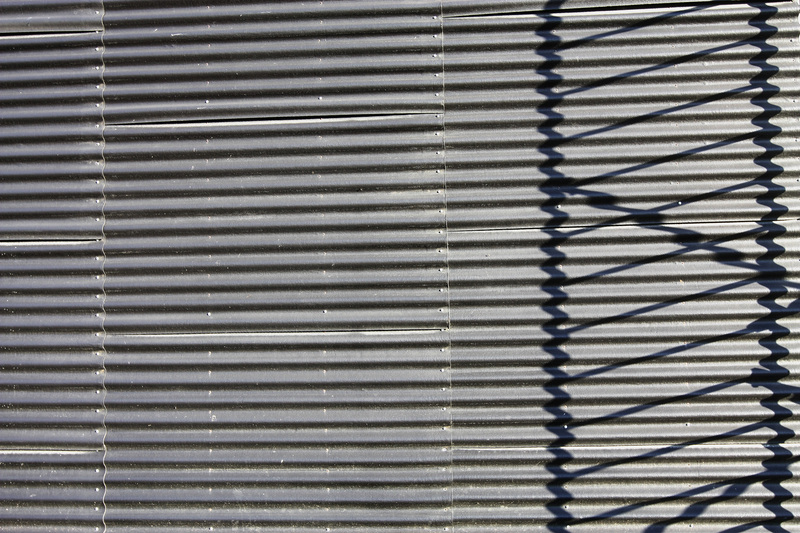 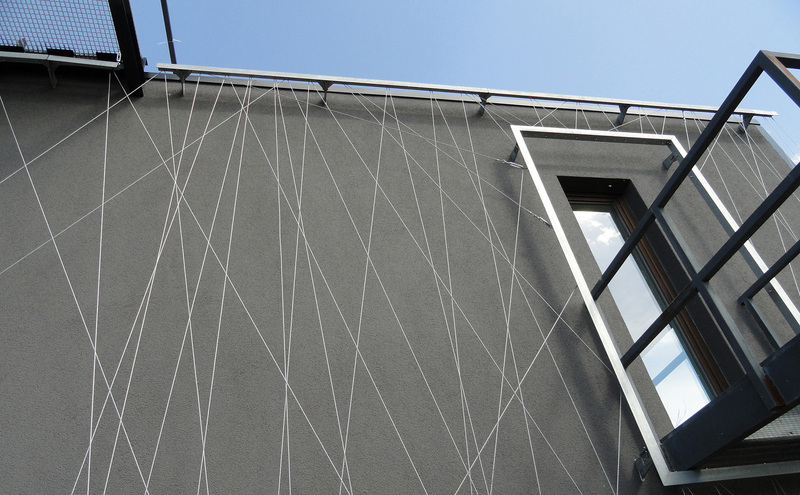 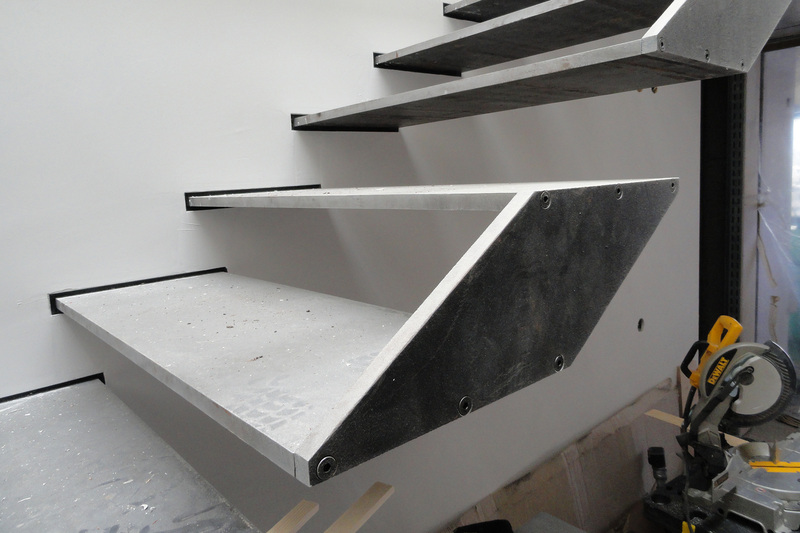 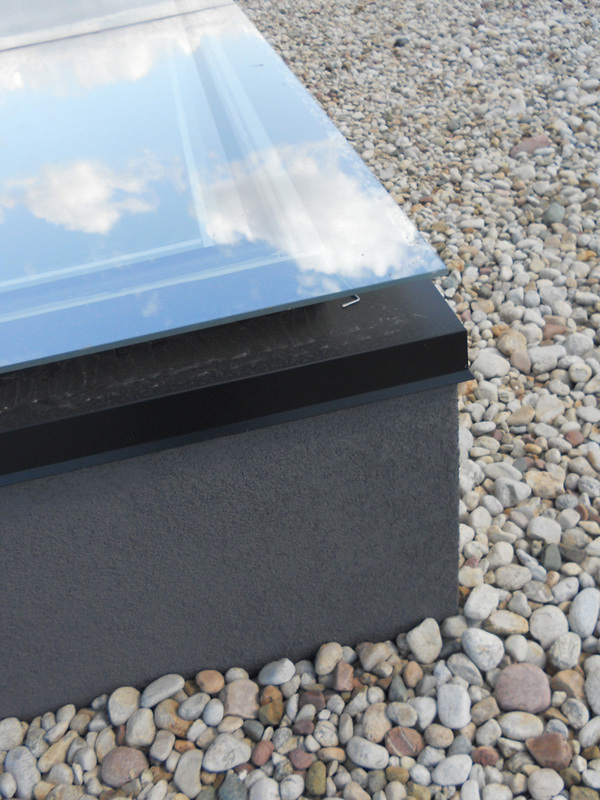 This wall is fitted with additional metal elements – a balcony, entrance cover, exterior staircase from second level to the flat roof of the building. 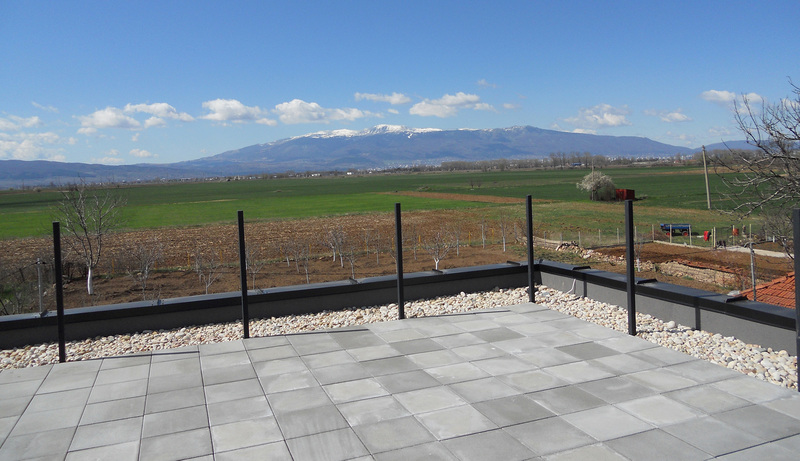 The transformation of the flat roof into a usable terrace space extended the yard space and gave a stunning panoramic view towards the surrounding environment. 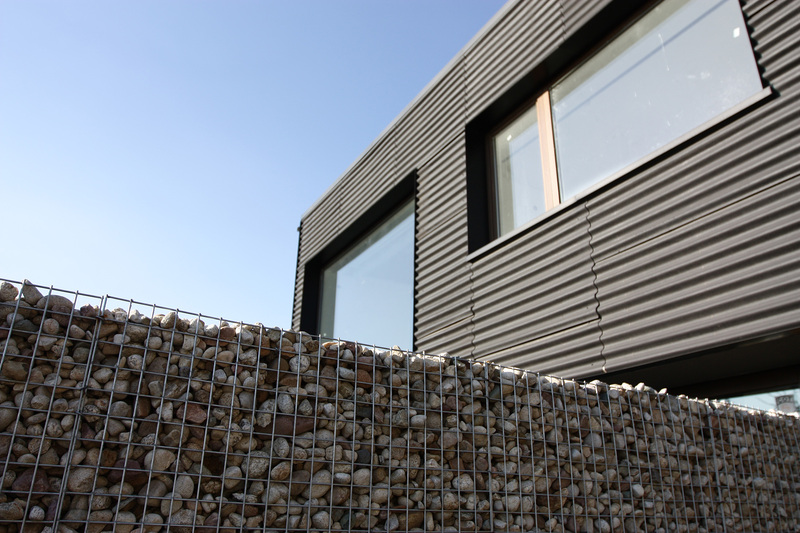 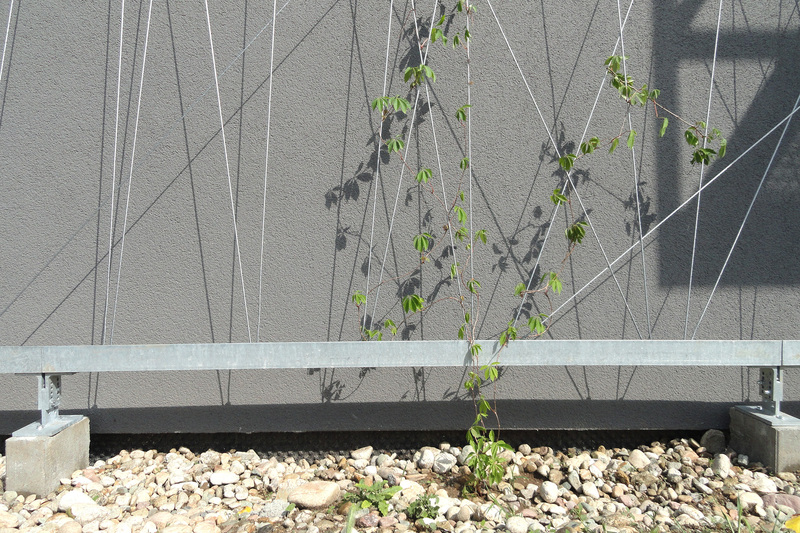 With the support of the client, we had the opportunity to experiment with new materials and technologies during the work process: the black shell of the container was made from corrugated sheets of ‘Ondulin’, usually used for roof covering; the fence of the site is a gabion construction with a thickness of only 0.25 m; a system of steel ropes was developed for the green wall.